I’ve reached a turning point. After weeks (months) of chocolate and bread and gravy and kickasseroles, I’ve started craving salad again. 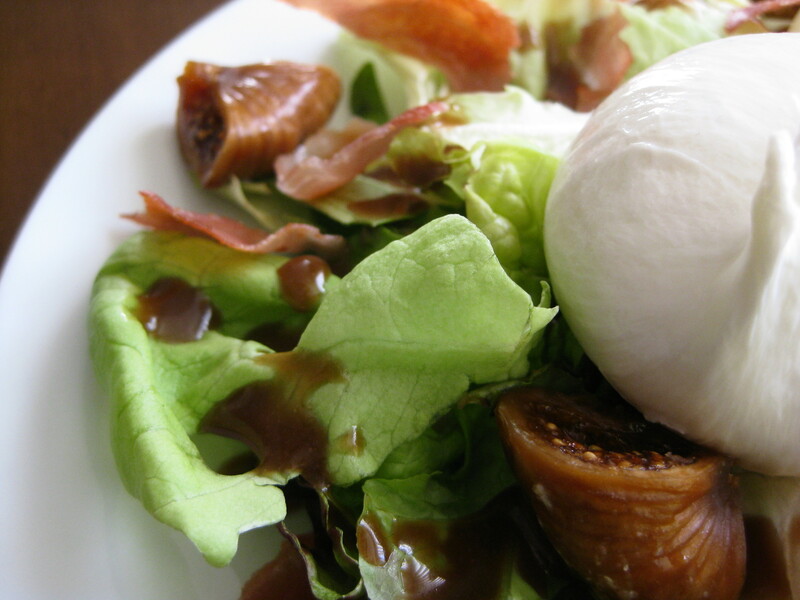 But despite my bleak weatherscope, now that the holidays are over, I’m craving bright, fresh, warm-weather foods. 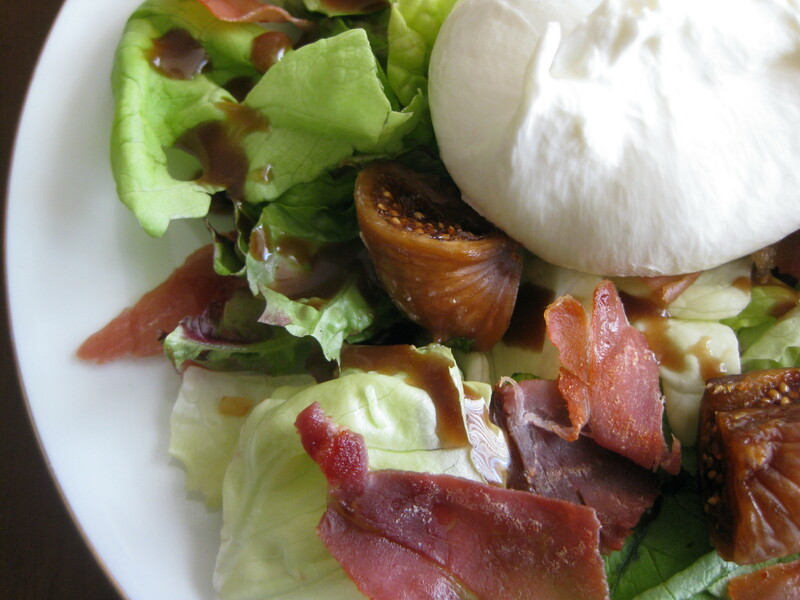 So here’s a tasty compromise—fresh greens with a summery, acidic vinaigrette topped with the luxurious tastes of winter: salty prosciutto, sticky figs, and creamy burrata. 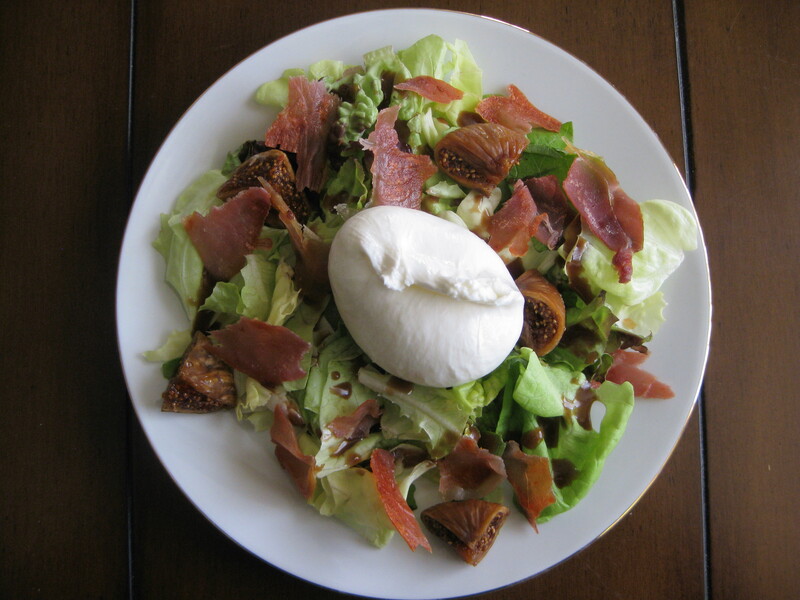 This salad was my first experience with burrata and, well, if you ever see the headline “Midwestern Soprano Arrested after Defeating Great Siberian Tiger with Bare Hands,” that’s me, and the tiger and I were fighting over the last piece of burrata. It’s creamy and delicious and that tiger had it coming, stealing my cheese. 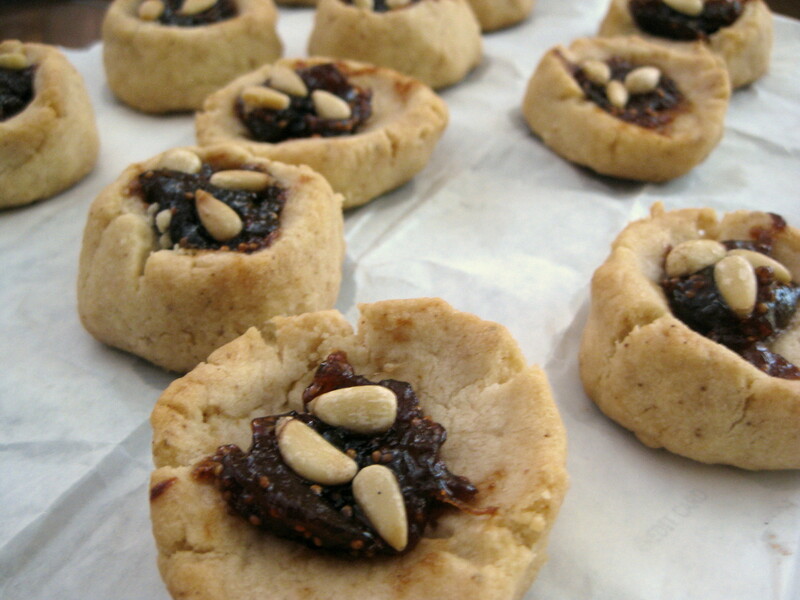 When I read your recipe for Aunt Maggie’s Jam Thumbprint Cookies, I had the highest of hopes. See, I had this jar of fig jam in the fridge, and I wanted to use it for something special. I’d spent countless hours perusing Pinterest boards when I came across your simple recipe for what seemed to be the perfect vehicle for my sweet, figgy spread. The cookie that came to be in my galley kitchen, however, was nothing like the cookie you (and your commentariat) described. And yes, I’ll admit that I didn’t exactly follow your recipe to the letter. 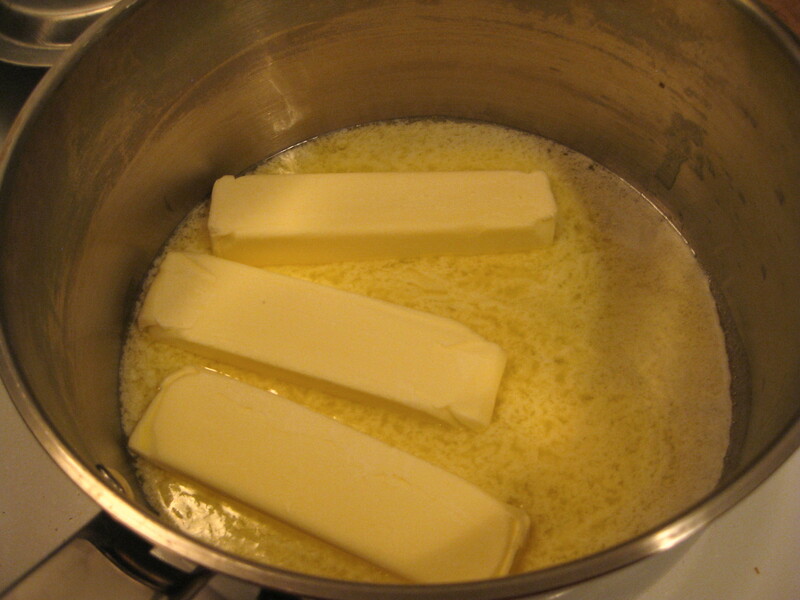 It’s true—I browned the butter then cooled it in the fridge before creaming it with the sugar. But still! Should that have affected the recipe to such a dramatic degree that instead of a perfectly round, soft, chewy confection, I ended up with a charmingly misshapen, tender, delicate shortbread? Really, if it weren’t for the sweet-sticky figs and $8 worth of pine nuts, this cookie would be nothing but an over-sized, nutty bite of heaven that melts in your mouth. It’s lucky for you that this cookie turned out as beautifully as it did. Your reputation was really on the line.